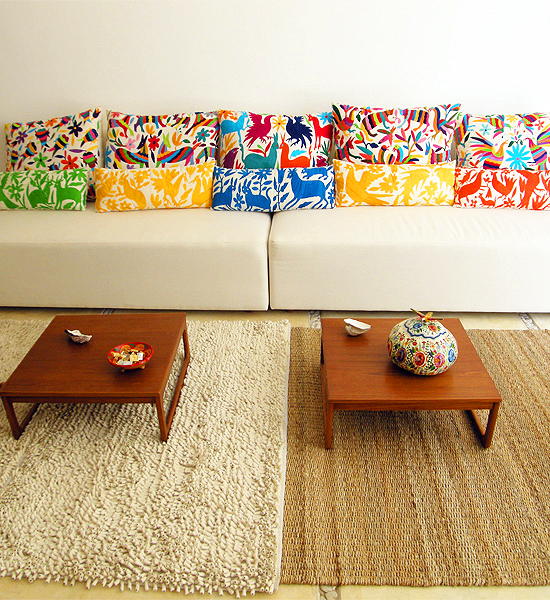 That's my kind of couch! O to the M to the G. I think I actually stopped breathing when I first saw this. omg, love it! 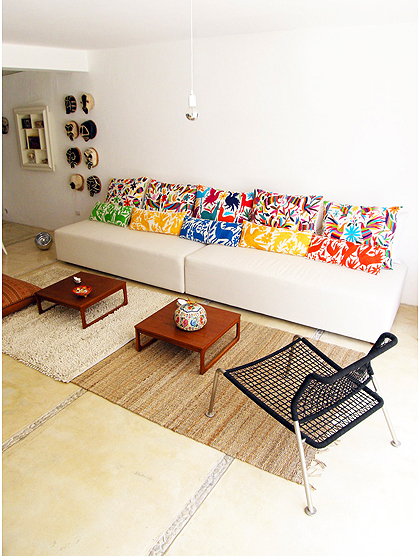 and those colorful otomi cushions are the perfect popping details! amazing! It almost made me stop breathing too. Maybe for a slightly different reason; I just had a fast forward film of the number of times a day my 3 year old would remove all the cushions! Are you getting it for the new place? A festival of colour! I love it! The back ones are so gorgeous- I love the vibrant colour of all of them together...stunning!!! lovely! quite easy to DIY fix too! Ashe+Leandro is an absolute favorite of mine. WHY CAN'T I HAVE THIS? WHY NOT?